...the grey walls of Castle Tioram (pron. 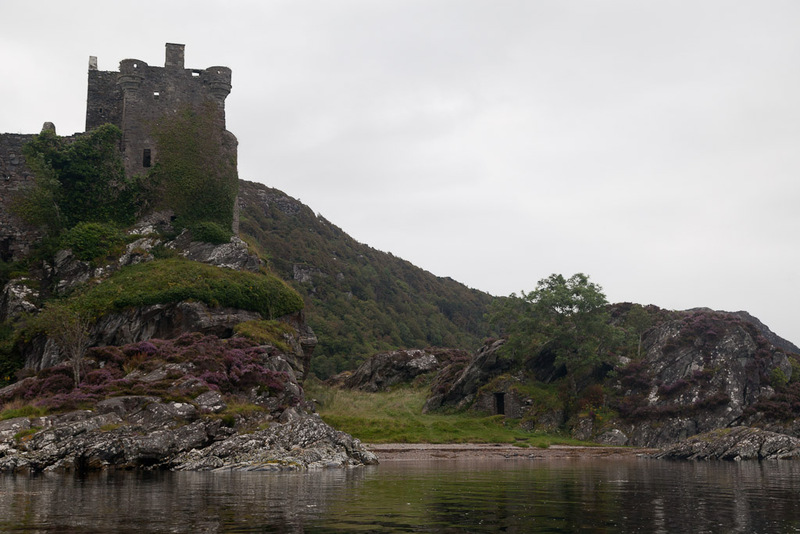 cheerum), which sits on a tidal island on the south shore. 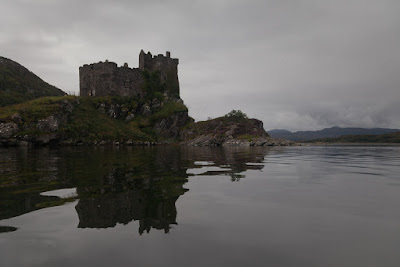 It was the ancestral home of Clan Ranald from the 14th century. The family owned the castle until the early 20th century, though it has been a ruin since the early 18th century. 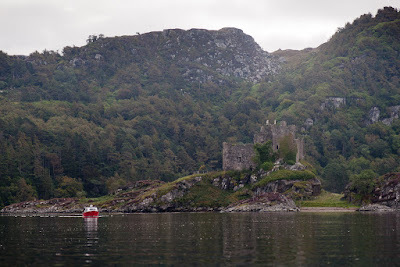 The castle currently belongs to a Scottish businessman, Lex Brown, who has been in a long battle with Historic Scotland to restore the building to a habitable state. 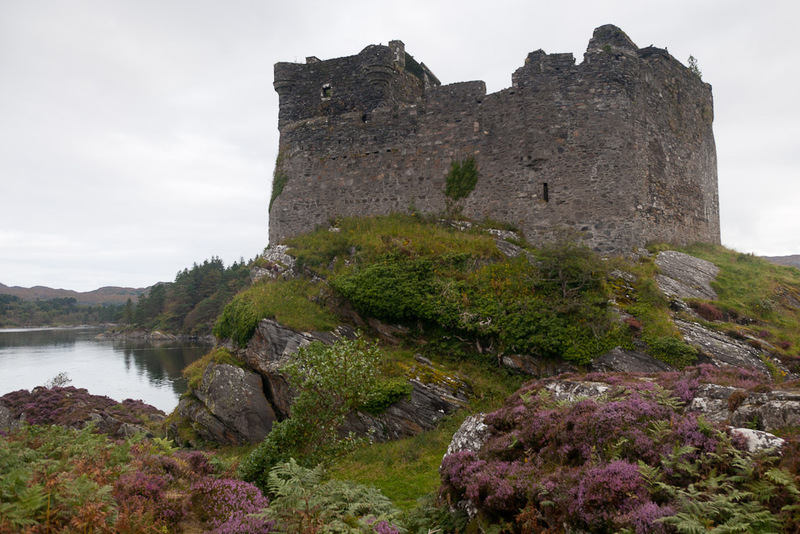 Unfortunately a 300 year battle with the elements means that the castle will need a bit of doing up! 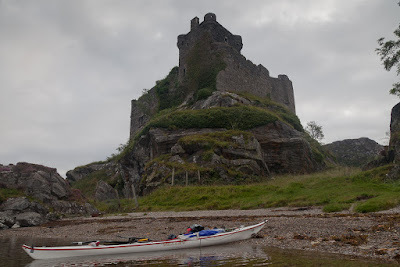 ... alighted to partake of a second breakfast. 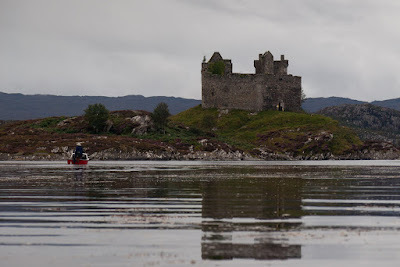 We enjoyed a peaceful exploration of the castle's policies, undisturbed by the many tourists who were waiting in their camper vans for the tide to drop, before invading the island via the tidal causeway that connects it to the mainland. 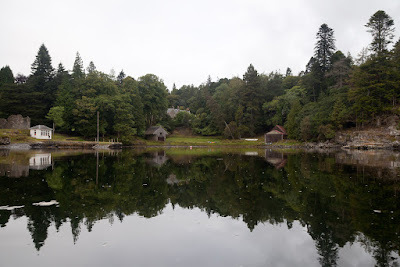 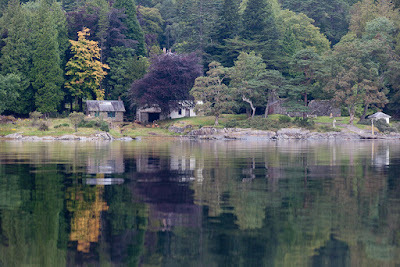 ...the bay, behind which Eilean Shona House nestles, deep in the woods. In the 1920's JM Barrie rented Eilean Shona and wrote the screenplay for Peter Pan on the island. 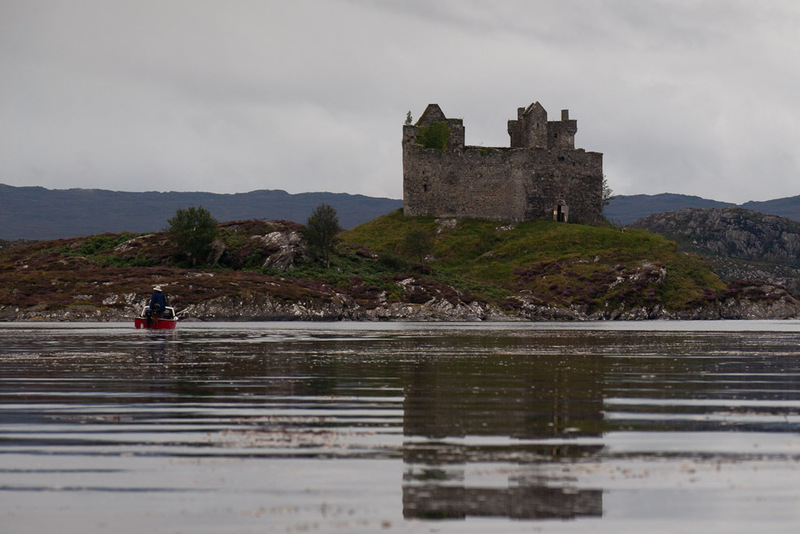 Nowadays it is possible to follow in Barrie's footsteps and rent Eilean Shona House for a holiday but, you are advised to bring your own cook (who can stay free in the room provided).